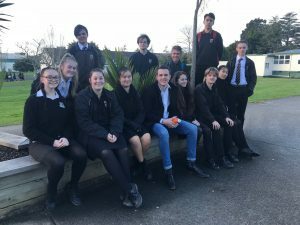 Our Business Studies students have access to quality support, information and mentorship and this is showing through in their business achievements and success in the Young Enterprise Scheme so far this year. YES 2017 National Award winning CEO of Olelei, and alumni, Matt came to share his expertise with our students and give them ideas and guidance for success. Thank you for your time Matt, the students appreciated your help and have come away inspired and ready to tackle their next challenge!